It is no longer news that the iOS 12 is the latest Apple iPhone operating system revealed sometimes this year. With this, so many Apple users are excited by the coming of the iPhone 7 which is launched on this latest iOS 12. 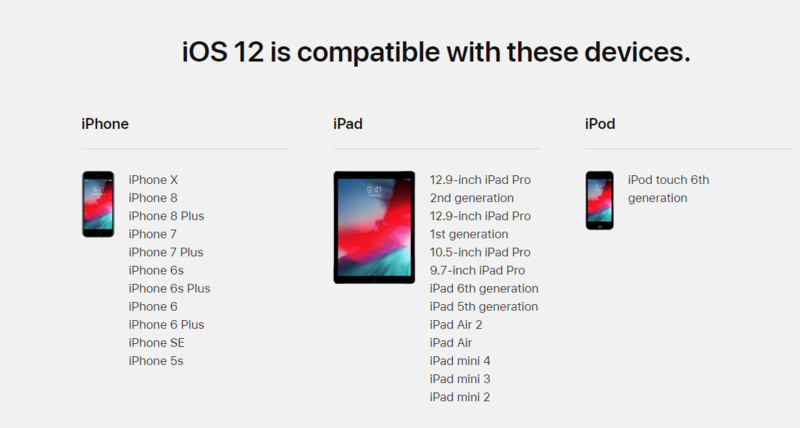 However, it is important to note that some other users are wondering whether their iDevices are in iOS 12 compatibility list or not. While their fears are well limit as well as real, it is important to state that there are going to be some Apple devices which would be compatible with iOS 12. These include the iPads, iPhone and iPods. The following are the iOS 12 supported device lists. iPhone: All iPhones from iPhone 5s till date are compatible and supported by the iOS 12 operating system. iPad: These are not left out of the new iOS 12. All iPads from iPad mini 2 till date are eligible supported. The good thing is that the new iOS 12 is capable of giving your iPhone a massive storage boost. According to initial reports, this next generation of operating system is capable of freeing up extra spaces on your device. In fact, a whopping 9% in storage savings is expected especially if you are coming from iOS 9. However, it is important to take note of the iOS 12 system requirements for storage when upgrading to the new iOS 12. This new operating system is expected to take about 4 GB of your iOS device storage space during upgrade. If you do not have enough storage on iPhone to upgrade to iOS 12, there are 2 options involved: either you buy a new phone or make more space on your existing iPhone. Let us look closely at these options. Buy a New iPhone – Worth It? The new iPhone 7 which comes with the much talked about iOS 12 is expected by September. You can get this device if your old iPhone no longer has enough storage to upgrade to the iOS 12. However, this may be a costlier option. For example, it is expected that the iPhone 7 will not be any cheaper than any of the past iPhone variants ever released. There is a strong expectation that Apple will improve on one of the most drawbacks of iPhone devices and that is space constraints. In fact, reports suggest that the new iPhone 7 will have a base model of about 32GB which will be an improvement on the past iPhone model. If the base model is 32 GB as speculated, there is a high chance of having other variants with larger storage like 64 GB and 128 GB with a starting price of about $1200. But, one question remains: will this solve the storage problem forever? It is highly unlikely that this can solve this problem permanently because there can never be enough storage for iPhone users especially with pictures, videos, messages and a lot of apps in the mix and this brings us to the second option. Make More Storage on Old iPhone – It's Much Easier! Instead of buying a new iPhone to solve the problem of storage space, you can use a cheaper option to make more storage on your iPhone. To make this task effective and much easier, you can use a professional iPhone cleaner, like iMyFone Umate Pro or iMyFone Umate Pro for Mac. Then, you are surely going to have enough space available on your old iPhone to upgrade to iOS 12. The iMyFone Umate has an intuitive user interface and friendly enough to make space recovery process on your iPhone so fast and easy. 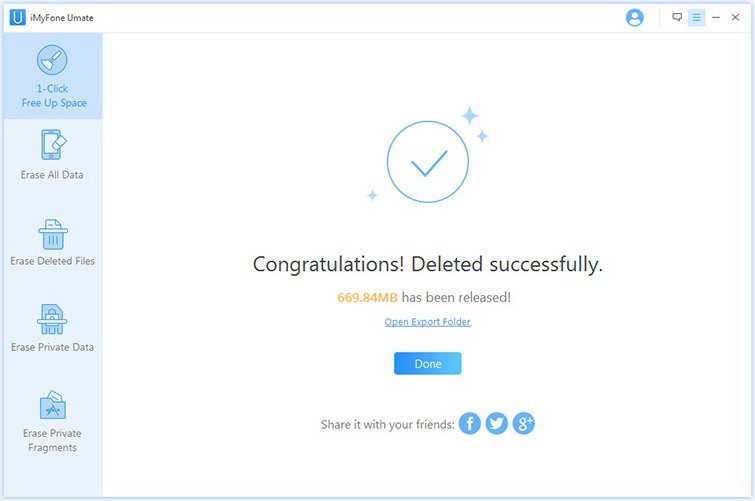 In fact, it is possible to delete unwanted files that occupy space with just a single click. iMyFone Umate is fully compatible with iOS 12 and receive lots of positive reviews from macworld.co.uk, Makeuseof.com , Cultofmac.com etc. 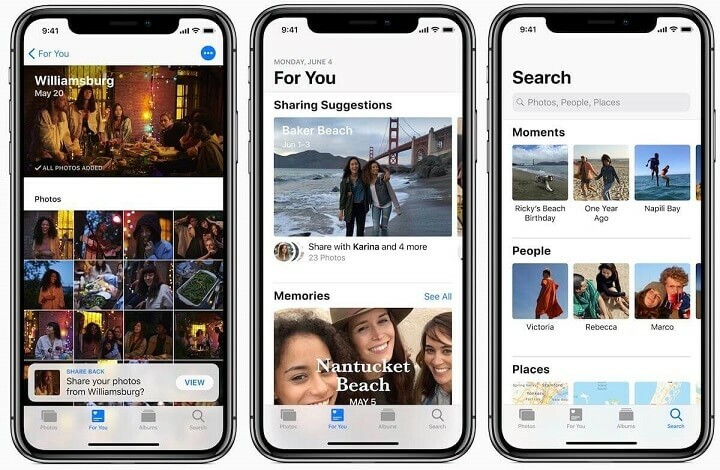 iMyFone Umate will help you make more storage out of your iPhone by helping you compress photos, deleting apps that are not needed, backing up & deleting all videos and a lot of other things that can help you get enough space for upgrading to iOS 12. 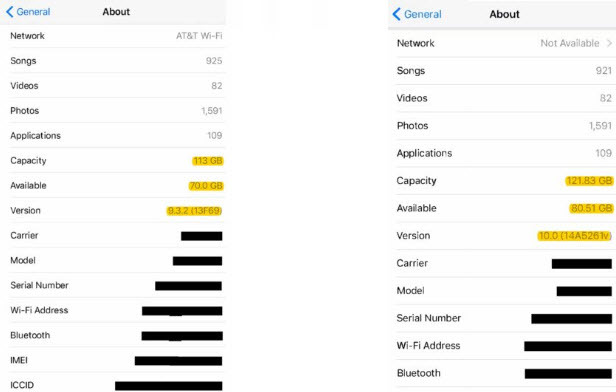 In fact, this will not only help you install the new iOS 12 comfortably but will also help increase the speed of your iPhone. It is just too easy to use the iMyFone Umate. First, you need to download the software, then connect your iPhone/iPad/iPod Touch to the computer, hit scan and delete the unnecessary files that eat up space on your device. Whatever the case, using the iMyFone Umate to make space for your device in order to upgrade to the iOS 12 seems to be a better option than just buying a new iPhone.